A startup remains in competition with a great idea and great leadership. One may have several thoughts for his/her startup; however executing the idea in the right way is a troublesome occupation. Truly running a startup is a day by day challenge. Every startup has correct enthusiasm, but the thing which differentiates them from others is the approach which they take care of. Smart management is what will make a business stand out from others. All you need is right tools or resource to expedite this passion for accomplishing your dreams. 1. Hootsuite: Hootsuite is the world’s most widely used social relationship platform and finest social media management tools. It was created by Ryan Holmes in 2008. It helps the business manage social media marketing in the simplest way possible. You can manage, schedule and target your audience across all the social media networks, effectively. It gives you a more extensive extent of your social media activities. 2. Google Inbox: Google Inbox is an emailing application by Google. Companies receive a bulk of email every day. This application is created to make email management simpler than ever. The application is focused on improving email productivity and organization by allowing the user to snooze messages for a later time, bundle similar emails together, and receive Google-Now-style cards for things such as flight times. Hence, chances of reading each mail in your inbox and not missing reply dates increase. 3. Sidekick: It is a tool provided by HubSpot which encourages email advantage. With this tool, you are able to see an email contact’s professional background, their common contacts, email history and a lot more. The best part of the tool is that you are able to track your emails (who opens and clicks). Additionally, you can make email marketing simple by scheduling mails and setting reminders. This tool is one of the finest ways to make your digital marketing strategy simple. 4. Slack: Slack is a free communication tool. It helps in making team communication smooth, allowing real-time messaging, archiving and search for modern teams. Manage team communication by sharing files, sending messages and a lot more at one place. It understands the need for team communication in a business and can be integrated with over 80 external services to help you pull information from outside tools. 5. Salesforce Sales Cloud: This is a great tool for CRM and Sales Automation. You can’t really talk about customer relationship management (CRM) without talking about Salesforce Sales Cloud. The name Salesforce is the industry standard for CRM. Salesforce effectively primes your customer-interfacing business channels for sales. Due to its wild popularity, it is also among the most compatible apps in the market. 6. Trello: Trello is one of the helpful task management tools. 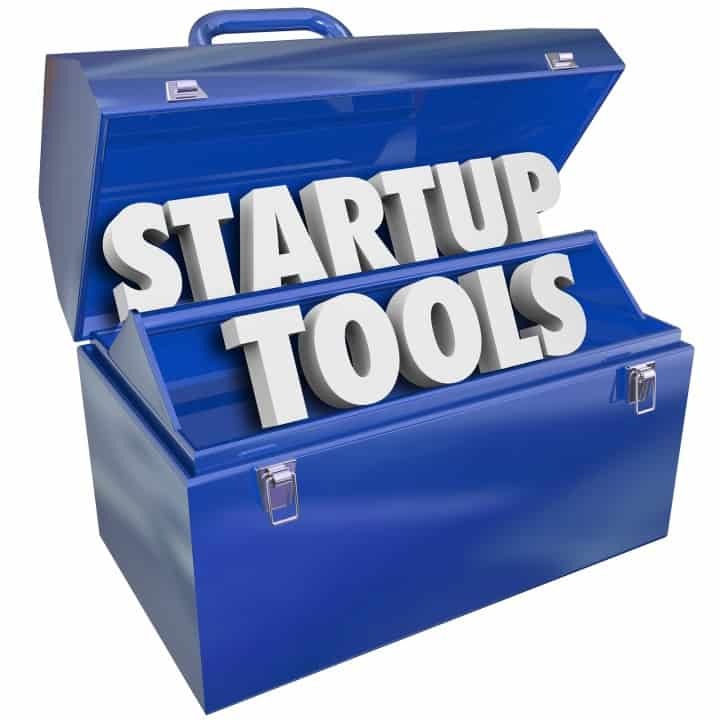 Being a startup business you may have bagful of tasks and incalculable plans to execute. Trello lets you manage these tasks in an organized manner. Now you need not depend on those sticky notes or long lists. You can create project boards, update and visualize the progression of each project, you are working on. 7. RecruiterBox: RecruiterBox is software which makes your recruitment process simple. This tool enables you to manage the job applications to your organization. Make hiring process a “one-step” management. Keeping in mind the recruitment challenges encountered, this software is made flexible and easy to use. It is easier and less complicated than spreadsheets. Track applicants automatically, manage resumes of the applicants and delegate tasks to your team. 8. Mint.com: Mint.com is for managing your financial assets. With the effectiveness of Mint, you can effectively manage your cash flow, budgets and bills at one place. You can create budgets and manage your personal finances. This free application gathers all your financial data at a single place, giving you the entire picture in a way that’s easy to understand and helps you make correct financial decisions. 9. How much to make an App: This is your application expense analyses tool. This tool provides you with a clear picture of the expenses involved in your application creation. You should enter the app details and it will give you the exact expense required for that application. 10. Intercom.io: It is a client communication tool that helps you see and talk to your customers. You can have live conversations and send targeted messages to website visitors and users of your app. Intercom help you view all your clients and inform you what they do with your product. 11. Flyp: Flyp is an application that gives you a chance to have up to six different phone numbers simultaneously active on a single smartphone. Each number added can be utilized and assigned for a different purpose. Each number has its own voicemail, text messages, SMS quick replies, and sound profiles.